As Pilar Ramos sits in her office working on global public policy for MasterCard, you can faintly hear Spanish commentators giving the play-by-play of the 2014 World Cup. With a Puerto Rican mother, Honduran father, and a fellow first-generation-American husband, whose parents hail from Germany and Bangladesh, she is torn between whom she should root for. But despite the wide range of countries to choose from, her loyalties lie with her Latin roots. Her title in her 12th year at MasterCard is global public policy and regulatory counsel. Ramos’s role has evolved from regional counsel work for Latin America and the Caribbean to global public policy. She is now looking across markets in Asia and the Pacific, Latin America, the Middle East, and Africa, monitoring and advising the company on developments that directly and indirectly affect business. Once she understands the market needs, she can translate them to help governments formulate strong policies, achieve their objectives, and demonstrate what the private sector brings to the table. She is able to clearly illustrate how MasterCard can help. In order to do that job, Ramos relies on two key internal partners: senior management and her own team of public policy professionals. 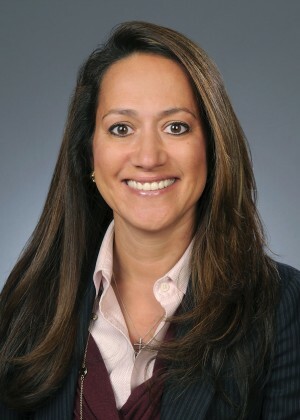 Ramos has been able to build her own team over the last several years, which has improved MasterCard’s abilities to locally manage governmental relationships. But as the global landscape has changed, MasterCard’s response and engagement has changed, too. An integral part of her work is to connect the dots for her team and for the external stakeholders on how issues can be resolved before government. Given that cash falls short on safety, efficiency, and transparency, Ramos says that MasterCard’s focus today is helping advance what it calls a “world beyond cash.” Ramos admits this is a tall order when you consider that most of the world’s retail transactions (about 85 percent) are still conducted in cash. What does moving from cash payments to electronic payments do for consumers, businesses, retailers, merchants, and governments? “Transactions are speedier, far more secure, more convenient, and more democratized,” Ramos explains. “People who are limited to just using cash to buy and sell things aren’t able to participate in the global economy. They can’t buy something that goes beyond their own physical radius,” she explains. “Cash, in that sense, is really an overlooked barrier to greater equality, opportunity, and parity.” It may not be apparent on the surface, but electronic payments, when done right, can be one of the great equalizers of our time.